The successor of the Freezer 11 series convinces all along the line with regards to noise level, cooling capacity, mounting versatility and transport-proofness. 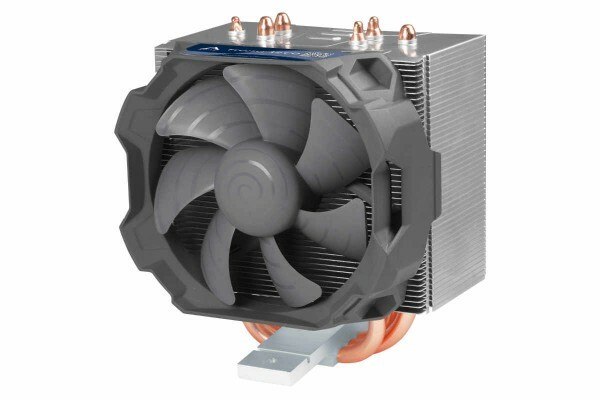 As semi passive cooler, the Freezer 12 CO also works extremely efficiently as the fan only starts up at a PWM signal with 40 % pulse width. The contact surface of the Freezer 12 CO direct-touch heatpipes does not cover the full protection cap of the CPU, but, more importantly, covers the whole processor DIE of the various compatible CPU. This leads to ideal cooling performance. Thanks to different mounting models for various sockets and a backplate, the Freezer 12 CO is not only fool-proof to install, but also absolutely transport safe..